Any time you have two different metals that are physically or electrically connected and immersed in seawater, they produce electrical current. Some current flows between the two metals and it can dissolve metals such as props, shafts, thru hulls and sea strainers in the engine room. The way we stop galvanic corrosion is to add a piece of metal called a sacrificial anode, and most often it is zinc. In fact, most of us refer to sacrificial anodes simply as boat zincs. On the Galvanic Scale, Zinc is number 4, 1 being the most sacrificial to seawater, Aluminum is 12, Steel is 30, Brass is 51, 316 Stainless is 76 and pure Gold is 91. This is why zinc is used, we want it to erode away and protect the other metal down there. 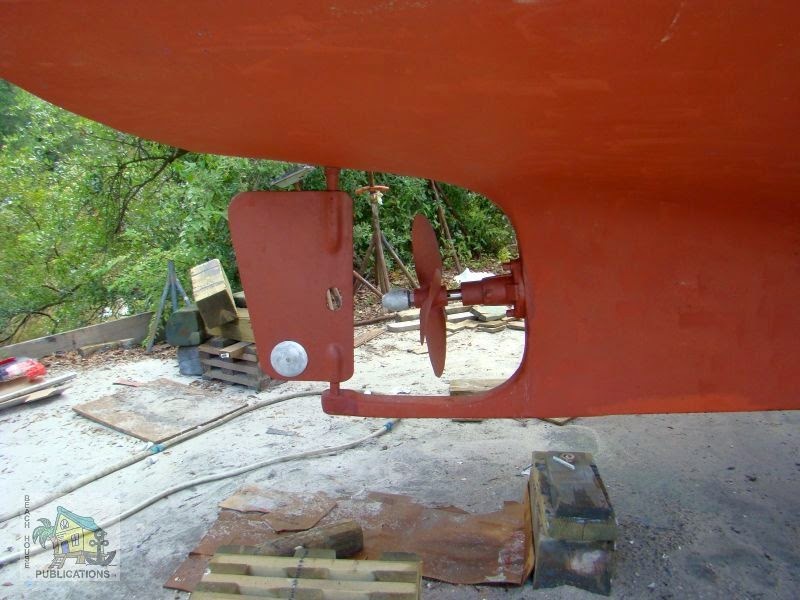 Using zinc anodes on your boat is very important. When a zinc is gone, the metal component it was installed to protect begins to dissolve. 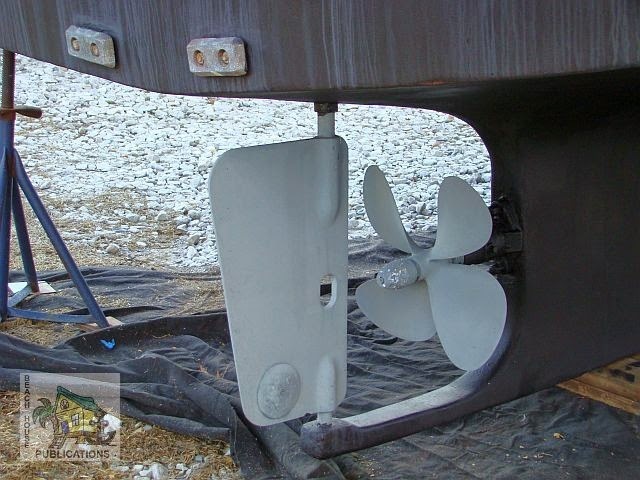 Boat Zincs should be replaced when about half of the anode has been lost to corrosion. Ideally we want that to occur not more frequently than annually. I check these routinely and replace zincs that need it. At haul out, a full set is always installed. All zincs are not made the same. Insist on MIL spec zincs. Here is a supplier that I get mine from, BoatZincs.com. Good zincs, good price. 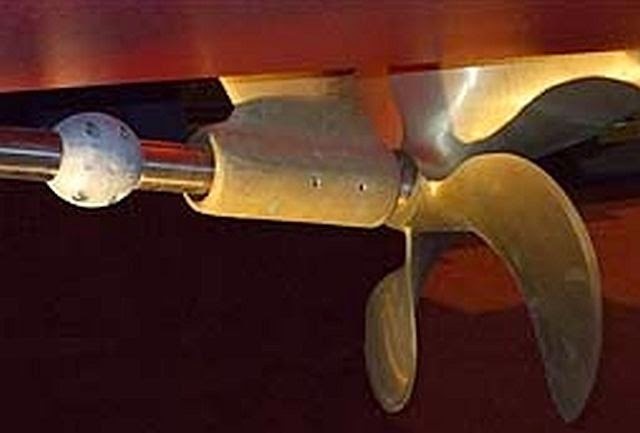 Propellers are normally protected by a zinc collar bolted together around the shaft. It is necessary to make sure the shaft is clean and polished before clamping the collar to it. Metal rudders and struts are protected with zinc disks bolted directly to the metal. Be sure bottom paint does not cover them. To provide good contact, the zinc should be tapped with a hammer all around and tightened several times during installation. Bonding is the connecting together of zinc plates bolted to the hull to other metals. All the underwater gear and the metal inside the engine room is connected to these plates. Be sure you check the bonding between thru-hulls and other metal gear by the use of a multi-meter set on the ohm settings. Tip: If you spot “green” bronze fittings, the bonding has failed and corrosion is in progress. Check and restore the bonding. Heat exchangers and engine raw water systems are also at risk. Most heat exchangers are fitted with a zinc “pencil”. You will find it under a brass plug. The pencil is unscrewed from the plug for replacement. In addition, oil and transmission coolers will have zincs too. Check your manual for locations. Be aware that pieces of pencil zincs can clog coolant systems if not maintained.